Food hubs are popping up in Sydney like spring rolls at a buffet. 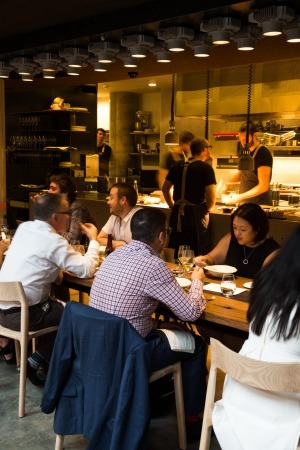 Sometimes referred to as food precincts or "foodie destinations", these pockets can be developer-led such as Haymarket's Steam Mill Lane or the product of a more organic process like the collection of top-notch eateries on Commonwealth Street, Surry Hills. Of course eat streets and food hubs have been an integral part of Sydney's dining scene for decades. Leichhardt's Little Italy in the 1960s, for example, the Vietnamese block party surrounding John Street, Cabramatta, and Lakemba's pickled rainbow of Bangladeshi and Middle Eastern restaurants. However, urban density has lead to a significant increase of food hubs within inner-city suburbs over the last three years. With Sydney expecting 2.4 million more residents over the next three decades, it's likely a truck load more are coming too. Overdevelopment? Perhaps. But potentially great news for people who like eating and drinking nice things. In 2018, the NSW Government introduced a new definition of "artisan food and drink industry" to local environmental plans. The amendment was submitted because "boutique, craft or artisan food and drink products" were recognised to be increasingly popular "among consumers who want an alternative to mass-manufactured offerings". The amendment aims for "artisan food and drink industry" to be "permitted wherever 'light industry' is permitted". What this may mean for locals is fewer Big Macs and more wine bars and bowls of cacio e pepe on their doorstep. 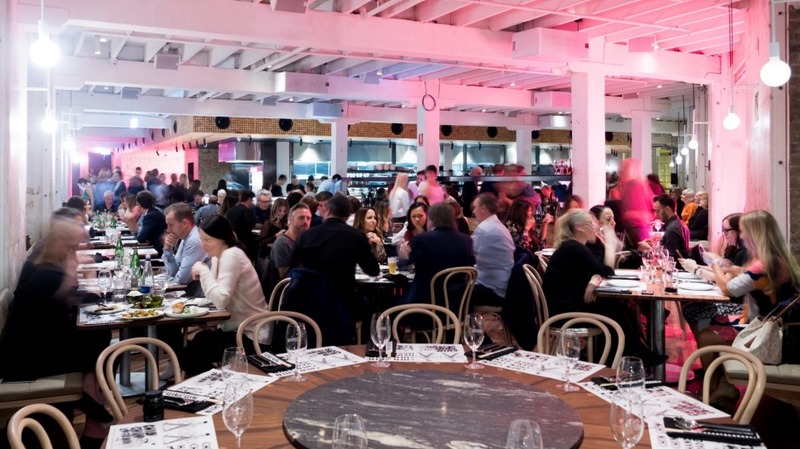 In the meantime, here's a snapshot of Sydney's five most significant food hubs that have sprung up the past three years. What is our definition of a food hub? Anywhere you can traverse from one end to the other while wearing heels, carrying a sack of potatoes or nursing a hangover without too much discomfort. A proper food hub also needs at least four legitimately great bars and restaurants to be worth crossing suburbs for. These top five fit that bill. If, like me, you were initially cool to Barangaroo's charms ("It'll be as dead as Darling Harbour in 10 years," I said more than twice), it might be time to pay Lendlease's urban renewal project another visit. 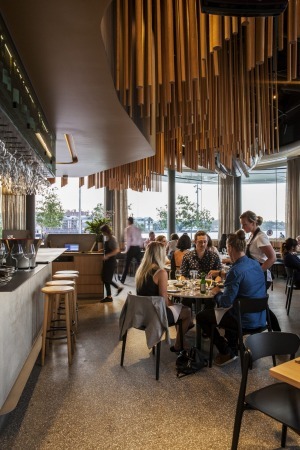 Even on a drizzly, humid school night, the stretch of restaurants between the seafood-focused Cirrus and Barangaroo House heaves with Sydneysiders sharing plates and swizzling spritzes. A note to the decibel adverse: it can get very loud. 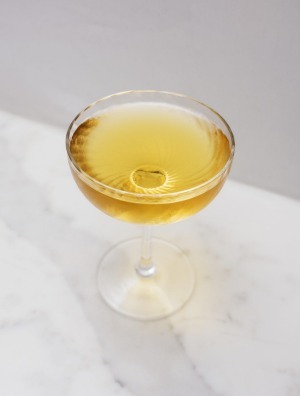 Two-hatted Cirrus remains the jewel of Barangaroo's Crown but there's a lot to love about Banksii's vermouth collection and the barramundi jungle curry at Muum Maam. 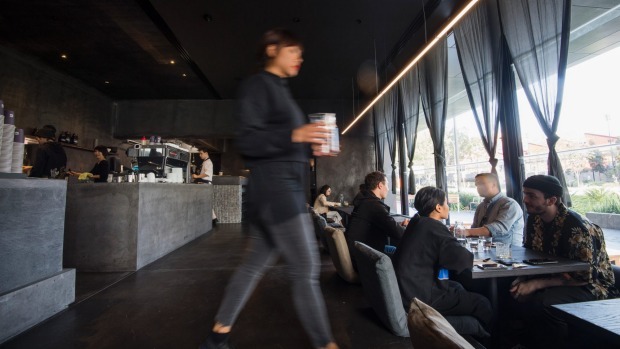 A modern Chinese banquet at Lotus represents ripper value at $59 a head while Somer Sivrioglu​'s Anason (the first permanent restaurant to open on Barangaroo's Wulugul Walk exactly three years ago) offers a Bosphorus feast to rule them all. 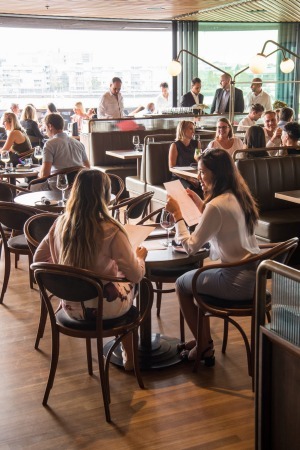 A chef change was announced last week at Matt Moran's Barangaroo House, with Tom Haynes of Chiswick taking over as executive chef from Cory Campbell, who departed the three-level mega-venue to focus on a project of his own. It's understood that rooftop boozer Smoke and the ground level House Bar will remain business as usual (that business being tie-loosening beers and cocktails) while finer-diner Bea will take a more approachable turn a la Chiswick. Haynes is also gunning for a rooftop garden but first needs to convince the building's owners it's a sensible idea. The King Street Wharf precinct lies just south of Barangaroo House should you be keen for restaurants serving barbecue chicken pizzas and pouring Red Bull in cocktails. Directly behind Wulugul Walk, however, and largely servicing Bararangoo's commercial towers, is a multitude of eateries making Sydney a better place for casual lunch. Bourke Street Bakery, Two Sticks, Ume Burger, Devon, Old Town Hong Kong (very popular), Rivareno, Verd and many more hits. Creating a mini picnic with Bel & Brio Deli smallgoods and trekking north to Barangaroo Reserve is a fine idea when the sun's out. Marking the western border of Chinatown is Darling Square's new Steam Mill Lane, sandwiched between the Convention Centre and Paddy's Markets. The precinct has a cracking selection of eateries for its size, it's just a shame the 70-metre-long strip (marketed as "Sydney's Largest Little Laneway") is so bloody grey. Giant Tetris blocks and a patch of AstroTurf do little to make you forget you're surrounded by soaring concrete walls very good at obstructing the sun. Thankfully Gyradiko's pita makes the excursion worthwhile. Edition Coffee Roasters embraces its surrounds with polished concrete surfaces and black everything (that's cutlery, napkins, tables, the lot.) I'm willing to say you won't find a better coffee within 10 minutes by foot, although Edition's Japanese souffle pancakes are what the locals come for, loaded with mango, stone fruit and cream cheese. They take a minimum of 20 minutes to make, so perhaps not ideal for breakfast on the go. Steam Mill's Marrickville Pork Roll outpost can fix you a sandwich quick sticks, though, and its crunchy, crusty banh mi is a gold standard of the genre. Turbo-charging that roll with a Belles Hot Chicken tender from across the lane is recommended. Bang Bang Izakaya is this food pocket's go-to in the evening for party-time sashimi, sushi and robata-grilled chook. Asahi pints are essential. After a few false starts, it seems the Kensington Street precinct is finally getting a groove on. There's now a chilled and happy vibe most nights of the week with locals making the most of the pocket's bars, dessert stores and restaurants. Two-hatted Automata has been a hit since the Chippendale hub launched in 2015, thanks to chef Clayton Wells' confident cooking and ways with hyper-seasonal produce. Silvereye and Kensington Street Social opened at the same time to much fanfare and both restaurants have since shuttered. The Silvereye site is hosting pop-up dinners until a permanent resident moves in, while Kensington Street Social is now Barzaari. The eatery opened in late October serving the food of Cyprus, Lebanon, Syria and Egypt and I can confirm the tarama is satin-smooth and super delicious. The original Barzaari launched in Marrickville two years ago and its Old Clare arrival reflects a larger trend of developers attracting suburban heros into the city. See also Gyradiko and Marrickville Pork Roll above. Original concepts are risky endeavours in any field, and these flash versions of suburb favourites are a bit like Hollywood remakes of acclaimed indie films. It's a recipe that works for creating a lively food precinct, in any case. A great food pocket should be able to sustain customers from morning to night, and Clayton Wells' A1 Canteen delivers on that brief for Kensington Street in spades. A1's muffuletta sandwich may well have been Australia's most Instagrammed dish of 2018, but the good times extend from LP's sausages for breakfast to pre-batched negronis and whole flounders at night. Speaking of LP's Quality Meats, Luke Powell's smoked beef-rib emporium is only a couple of blocks over with fellow backstreet buddy Ester. It's these two restaurants that put first put Chippendale on the modern culinary map, causing food lovers to cross not just suburbs, but state borders and straits. And if you're keen for a quick feed, Kensington Street's Spice Alley has you sorted for hawker-style kiosks rocking Singapore noodles, pad thai, dumplings and laksa. What? The Rocks? Circular Quay?! The tourist trap food wasteland of pancakes, crepes and more crepes? 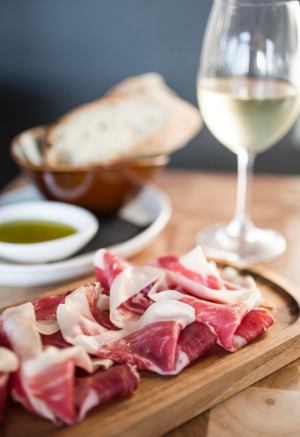 Yes, correct – there are now more reasons to visit the area than Peter Gilmore's Quay. Specifically and geographically, I'm talking about a crescent-moon shaped curve that begins at Suez Canal and ends across the road from Circular Quay Station. 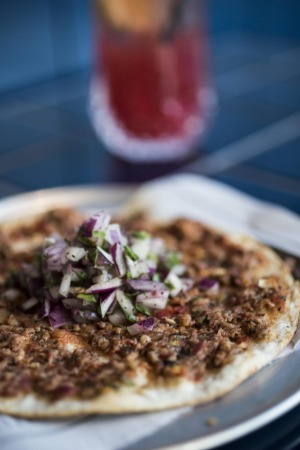 Tayim opened in December and brought modern Middle Eastern cuisine to The Rocks. Beautiful sandstone interiors are the setting for sumac-cured kingfish, mushroom bourekas and skewered Yamba prawns, while an offshoot deli offers fresh falafel pitas to takeaway. A short walk down the road you can find Maybe Sammy on the edge of the CBD – a 1950s Vegas-inspired bar with sharp cocktails shaken by Italian men in even sharper suits. Maybe Sammy doesn't have much in the way of dinner options, but Alfred Street's fancy Gateway food court absolutely does. Dexus real estate group cut ribbon at the Gateway in 2016 and although the ground floor options aren't much chop (Din Tai Fung is an exception), the first level is home to the excellent Chat Thai. Neil Perry has a Burger Project here. It's also worth mentioning the Doss House, which opened in a heritage-listed basement near the Observer Hotel last year. If you want to drink top-shelf whisky in a chesterfield and not be bothered, this is the place to do it. When Mary's Group relaunches the Basement in May, Circular Quay is going to go off like it's 1988. Barangaroo might have the most restaurants on this list, but Commonwealth Street has most Millennial street cred. There's no better way to show off your new A.P.C sweater and Monocle magazine than with a window perch and macchiato at Paramount Coffee Project. Although it can be a struggle to jag a seat at PCP during lunch rush, it's nowhere near as maddening as lining up across the road for a table at Chin Chin in the evening. Once inside though, it's papaya salad, Isaan chicken and cocktails all night long. Neighbouring Longrain offers more of the same but in a way (way) more relaxed and spacious dining room. 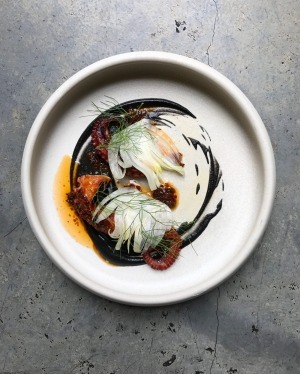 Back in the Paramount complex, Poly is where Ester chef Mat Lindsay grills (all coals, no gas) cracking seafood, meat and veg and carries bold flavours with buttery sauces and ferments. Whether Poly is more natural wine bar or casual restaurant is irrelevant. All that matters is that it's a lot of fun and if you have to wait for a table then Hotel Hollywood is open for schooners around the corner. Poly will send you a text when your number's up. You can find Sydney's Little India in a sleepy suburban pocket on the edge of Parramatta. Around 20 restaurants line Wigram Road and its intersecting Christmas-light-filled streets, providing snacks, vegetarian curries and all manner of sweet desserts. 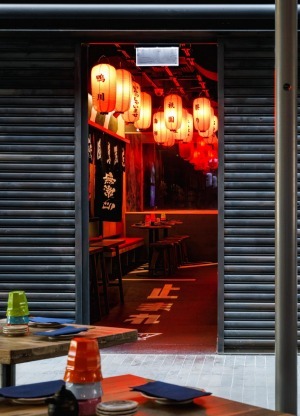 The bustling locality centered around Dixon Street, Haymarket, has been Sydney's premier destination for dumplings, noodles and cheap corkage since the 1970s. Redevelopment in the area is attracting savvy new operators such as Bancho Bar and Market City's luxe hotpot restaurant Dolar Shop. Sydney's oldest Chilean restaurants, La Paula, provides one of Australia's greatest mayo-spiked hot dogs on Barbara Street while Lao Village a couple of blocks over sets a fried rice benchmark. In between these two food heroes lies a cornucopia of Iraqui, Afghan and Lebanese barbecued excellence. The humble Lemon Grove food court is home to many small treasures such as fragrant noodle soups at De-Pho and hand-pulled dan dan noodles at Grape Garden. Closer to Chatswood station, northern Thai curries at Chum Tang never compromise on heat and General Chao opened in February specialising in high-end XO. 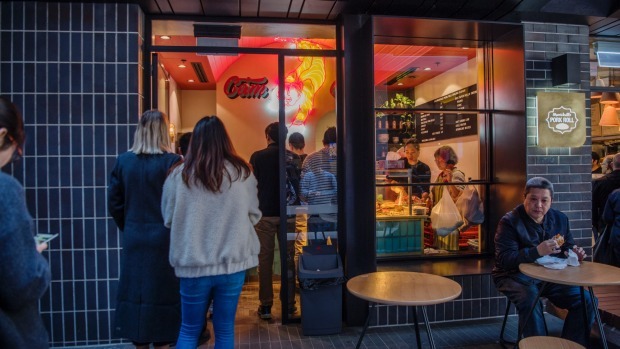 Locals flock to the Hall Street food precinct after work for Da Orazio porchetta, A Tavola ragu and takeaway Pasticceria Papa cheesecake to eat in front of the telly. 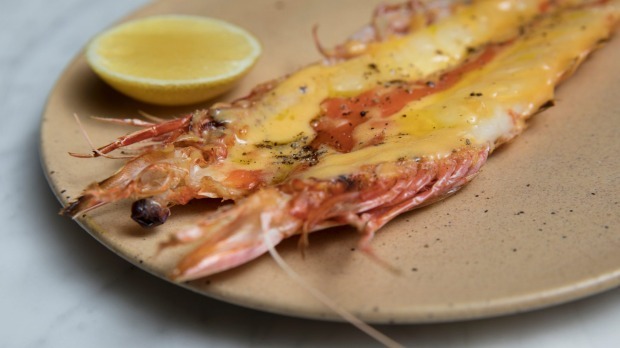 Meanwhile, newcomers Ode and Totti's are drawing crowds to lower Bondi Road with fresh and simple cooking engineered for good times with old friends.